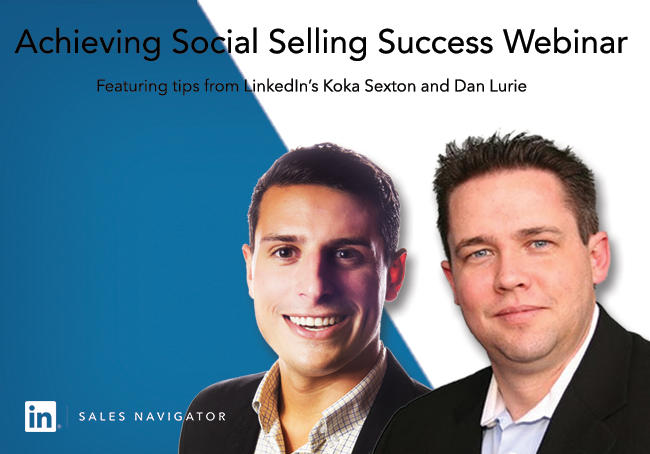 Discover how evaluate and improve your social selling efforts with Achieving Social Selling Success, a new webinar from LinkedIn Sales Solutions. We all know that an increasing portion of the decision-making process is now performed digitally, without help from sales. But that doesn’t mean sales professionals can’t enter the buying cycle early and nurture prospects through each stage of the funnel. You’ll learn how to work with the new buying process, rather than against it. The changing buyer journey continues to present new opportunities for sales pros to connect with prospects earlier in the buying cycle, position themselves as a thought leader, and ultimately win the sale. Let the achieving begin. Sign up for our webinar 'Achieving Social Selling Success' now.